The International Livestock Research Institute (ILRI) worked with a host of private and public organizations advocating for an International Year of Rangelands and Pastoralists at the fourth biennial United Nations Environment Assembly (UNEA), held 11-15 March in Nairobi this year. The assembly focused on innovative solutions for environmental challenges and sustainable consumption and production. 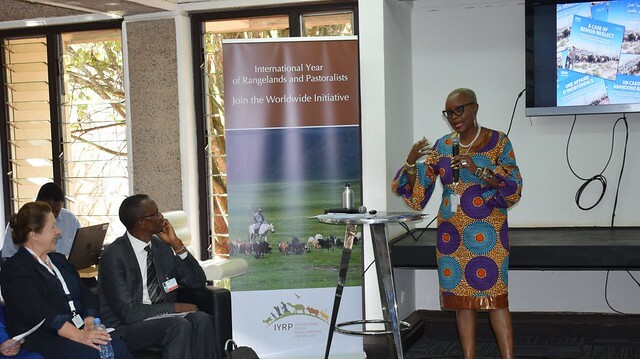 Shirley Tarawali, ILRI assistant director general, moderated a talk on sustainable pastoralism at a ministerial breakfast meeting to support the adoption of an International Year of Rangelands and Pastoralists (IYRP). 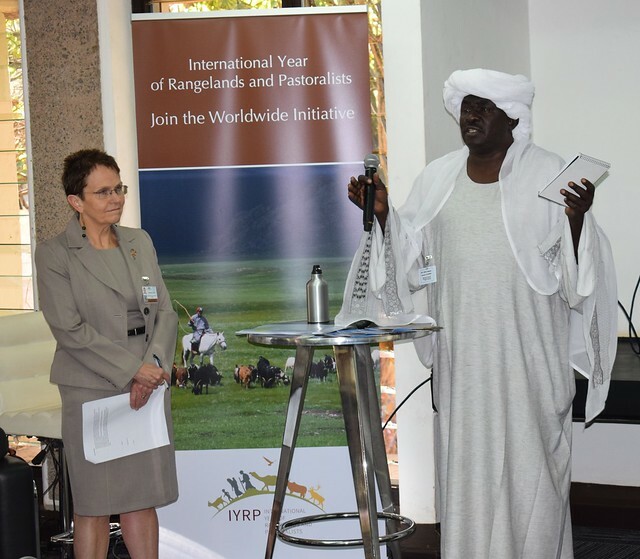 The meeting was organized by the ILRI-coordinated global component of the International Land Coalition (ILC) Rangelands Initiative and the International Support Group of the IYRP. Speaking at the event were a number of policymakers and ministers from countries as diverse as Sudan, Mongolia and Kenya, as well as leading pastoralist scholars. Shirley Tarawali, ILRI assistant director general (left), and Aboud Gabir Saeed, Sudan state minister and general secretary of the National Council for Environment, speaking at the ministerial breakfast (photo credit: ILRI/Sarah Kasyoka). • the need for governments and the United Nations to address the challenges facing rangelands and pastoralists including gaps in data, and the importance of drawing attention to these. Dana Kelly, president of the International Rangelands Continuing Committee, provided an overview of the importance of pastoralism, an issue she said rarely receives the attention from policymakers that it deserves. ‘Rangelands are great for diversity,’ she said. ‘Up to 500 million people are pastoralists, and they occupy as much as 75% of the earth’s land surface’. Pastoralists are natural stewards of the environment, she said, since they rely on low external inputs and provide a variety of sustainable ecosystem services. Yet, she said, they remain ‘among the most marginalized and disadvantaged of peoples’. Among the other speakers at the meeting were His Excellency Tserenbat Namsrai, minister of Environment and Tourism for Mongolia; Enkh-Amgalan, member of the advisory board of the Mongolian Federation of Pasture User Groups of Herders; His Excellency Aboud Gabir Saeed, state minister, National Council for Environment for Sudan; and Adelkader Bensada, a programme management officer at the UN Environment and a member of the International Support Group of the IYRP. 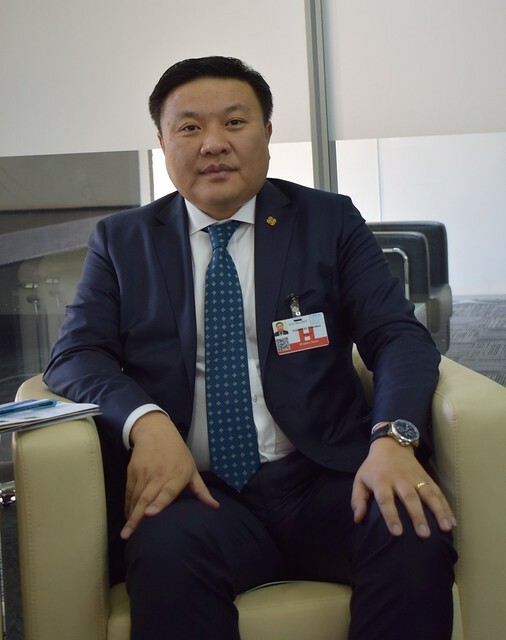 Tserenbat Namsrai, Mongolia’s Environment and Tourism minister at the ministerial breakfast meeting 12 March 2019 at the UN Environment Assembly in Nairobi (photo credit: ILC/Israel Nyoh). Mongolia has been on the forefront in making the case for an IYRP and at this meeting, minister Namsrai emphasized the importance of pastoralists and rangelands to both the national economy and to the environment and ecosystem services of Mongolia. He also reiterated his government’s commitment and support towards the protection of rangelands and environmental sustainability. ‘The government is about to submit to the parliament the Rangeland Law, the main objective of which is to ensure legal entitlement of herder communities to their traditional rangelands and empower their role as users and protectors of their rangelands,’ he said. The minister also reminded participants about the recent UN resolution seeking the declaration 2021 to 2030 as the UN Decade of Ecosystem Restoration, urging all stakeholders to take advantage of this momentum to advance the IYRP agenda. ‘Urges Member States and invites all relevant stakeholders to raise awareness and promote innovative solutions for sustainable management of rangelands and pastoralism taking into account traditional knowledge on sectors such as agro-pastoralism, livestock, agroforestry, agriculture, renewable energy and ecotourism’. This resolution, endorsed by members of UNEA and passed on 15 March, was presented at the breakfast meeting by Ernest Mbogo, deputy director, Livestock Production-State Department of Livestock at the Ministry of Agriculture, Kenya. The passing of this resolution is a critical milestone in increasing recognition of the importance of rangelands and pastoralism. Several of the policymakers and scholars at the meeting emphasized the lack of adequate data and highlighted the crucial need for a gap analysis to address this challenge. One participant noted, for example, that there hadn’t been an adequate census of animals and livestock keepers in Nigeria for 30 years. Musonda Mumba, chief of Terrestrial Ecosystem Unit, UN Environment presented a report on a gap analysis report on rangelands that carried out integrated analyses in support of the 2030 Agenda for Sustainable Development. The report also addresses one of the resolutions approved at UNEA in May 2016, which highlighted the scarcity of information on pastoralism and rangelands. The gap analysis focused on such issues as the accessibility and availability of data on pastoralism and rangelands and the types of technical support for pastoralism provided by various organizations and governments. The report confirms that there are significant gaps in knowledge and data on rangelands globally. Musonda Mumda, chief of the Terrestrial Ecosystems Unit at UN Environment, presents a gap analysis report on rangelands (photo credit: ILRI/Sarah Kasyoka). The ILRI delegation to the fourth UNEA also took the opportunity to share the significance of livestock in sustainable agriculture and food security. Polly Ericksen who leads the Sustainable Livestock Systems program at ILRI, participated in a panel discussion on ‘Legal empowerment in environmental decision-making for sustainable consumption and production’. Ericksen highlighted the need for customary institutions, which some pastoral communities rely on to manage rangelands, to be given formal legal recognition to empower communities to assert authority in case of disputes over access to grazing resources. Polly Ericksen, Sustainable Livestock Systems program leader at ILRI (second left), in a panel discussion at UNEA4 (photo credit: ILRI/Sarah Kasyoka). Speaking in a separate session on, ‘Sustainable food systems: ensuring food security for future generations’, she also emphasized the criticality of livestock in the food, nutritional and income security of rural households, while citing the significant impact of the dairy sector on greenhouse gas emissions and the need to mitigate this impact through sustainable production systems. Learn more about the International Year of Rangelands and Pastoralists. Also read an article on recent global developments in support of rangelands and pastoralism. For additional information visit www.rangelandsinitiative.org or contact: Fiona Flintan | senior scientist–Rangelands Governance and coordinator of ILC Rangelands Initiative-Global Component, ILRI. Email: F.Flintan[at]cgiar.org. Written by Sarah Kasyoka and David Aronson. Tags: ILC, Mongolia, UNEA4. Bookmark the permalink.